Nintendo's history with peripherals that only support several games is nothing new. Raise your hand if you had a massive Four Swords party with four GBAs and a GameCube! The same thing goes for the Pokkén Controller, recently released by Hori. This is a gimmick to end all gimmicks, so I wouldn't even think about getting one unless you've already put some serious hours into Pokkén Tournament. 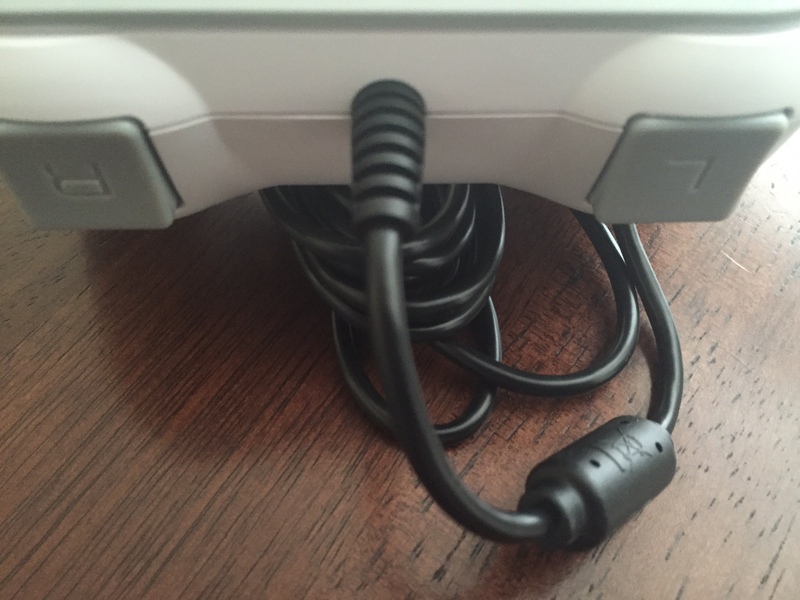 Like the GameCube adapter functionality for Smash, the Pokkén Controller is a bit of an odd duck. Not only can it only be used for this one game, but it also doesn't even sport basic Wii U functionality. There's no power button to turn the console on or off for one, and you can't navigate the main menu with it -- the controller isn't even recognized until you load up Pokkén Tournament. To go a step further, the game doesn't truly shift its UI to accommodate, as there's no "+" button on the pad, but it still prompts you to press it anyway. The pad is comfortable though! It may not look like it, but the design feels great even after extended periods of use, the buttons are responsive and don't feel cheap (especially the select, start, ZL, and ZR buttons in the middle). The big L and R buttons are comfortable, especially for triggering synergy abilities, supports, and guards. Hori's controller works for every mode in terms of solo play, including online battles, but if you're playing a local match one person must use a GamePad (in other words, do not buy two!). And that's basically the gist of it! There's nothing inherently wrong with this unit outside of the fact that you're spending $25 for one game. For reference, I had zero problems with the GamePad, Pro Controller, or even the ProCube gamepad -- so don't feel like you need it to enjoy Pokkén.